If you face a serious legal issue - whether it is a DWI arrest or an injury suffered in a car accident you have no time to waste when defending your interests and protecting your rights. Acting quickly is the most important thing you can do to help us win your case. 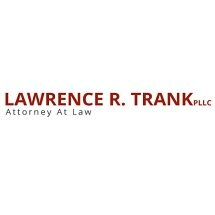 I am Larry Trank, a criminal defense and personal injury lawyer in New Paltz, New York. If you need legal help anywhere in the Hudson Valley Region or Upstate New York, I offer a free initial consultation to discuss your case. I take the time to listen to your concerns and give you straight forward advice. I treat clients how they deserve to be treated — like real people — not case numbers. The criminal justice system can be intimidating and scary for anyone. Unfortunately, any hasty decision that you make can impact you the rest of your life. Before you talk to police or anyone else, get the advice of an experienced lawyer. I am available to personally speak with you 24 hours a day, 7 days a week. Learn more about our criminal defense practice. Once you file an injury claim, you become the insurance company's adversary. They will do anything they can to minimize your claim. Don't make the common mistake of speaking with an insurance company claim representative before you consult with an experienced personal injury attorney. My office will aggressively pursue your injury claim to maximize your recovery. Learn more about our personal injury practice.